Sassy Fabric is a unique soft, sheer fabric strip with evenly spaced holes to make it easy to knit or crochet. It is a amazing novelty yarn that can be used in many different knit and crochet projects. 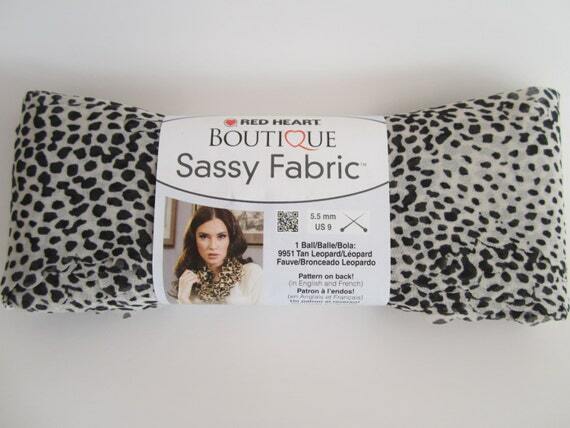 And with white and black being on trend for 2016 this would be a great time to start a new project with some White Cheetah print Boutique Sassy Fabric. This hank of Sassy Fabric is brand new, unopened, and ready for you to use in your next project.